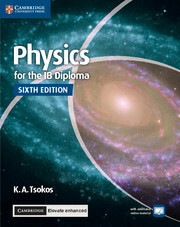 Physics for the IB Diploma, Sixth edition, covers in full the requirements of the IB syllabus for Physics for first examination in 2016. 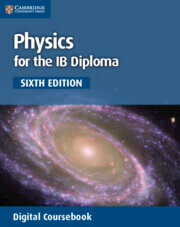 This Exam Preparation Guide contains up-to-date material matching the 2016 IB Diploma syllabus and offers support for students as they prepare for their IB Diploma Physics exams. 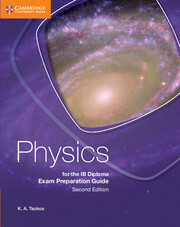 The book is packed full of Model Answers, Annotated Exemplar Answers and Hints to help students hone their revision and exam technique and avoid common mistakes. These features have been specifically designed to help students apply their knowledge in exams. The book also contains lots of questions for students to use to track their progress. 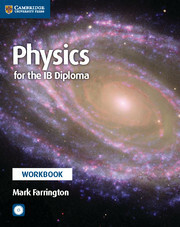 The book has been written in an engaging and student friendly tone making it perfect for international learners. Annotated Exemplar Answers give students examples of answers with extra comments from examiners about what went well and what could be improved. 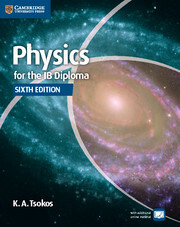 Helps students to become familiar with the format of the exams and what examiners are looking for so they know what to expect and are more confident. Model Answers indicate to students the kind of answers examiners expect to see. These show students what examiners are looking for and what a perfect answer looks like. Hints throughout the book advise students about revision and exam technique helping students to avoid common mistakes. These encourage students to achieve their potential in their exams.